The King East located in Toronto’s Design District. 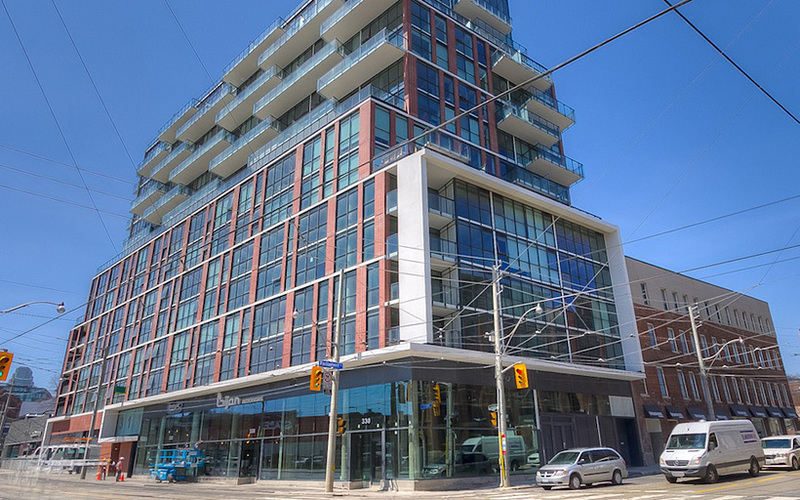 Walking distance to the Distillery District, Riverdale, Leslieville, Corktown Commons + Financial District. Approximately 1031 sf + 188 sf balcony. Featuring 2 bedrooms, 2 baths, South/West corner with city views, 10 foot exposed concrete ceilings, hardwood floors through-out, Scavolini kitchen, stainless steel appliances, stone counters, spa inspired baths and walk-in closet. 1 parking + 1 locker included.